Mother's Day is coming up and Hudson's Baby has an awesome promo code! 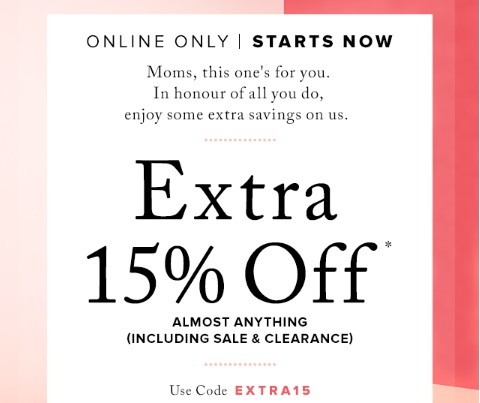 Save an extra 15% off almost everything online including sale and clearance items with the code below! Enter the promo code EXTRA15 at checkout. Offer ends April 28, 2016 at 1159pm ET. Some exclusions apply, to see list of exclusions click here.